Are you trying to get away after doing some task wrong at work? With the advent of technology and different systems in place, it has become very easy to monitor what is happening around. Every person is expected to achieve a certain level at work. 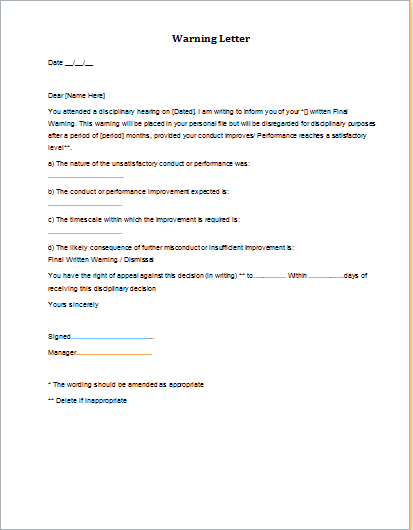 Warning letters can be used as a measure to shake the employees and wake them up to achieve that level. Warning letters are not meant for trivial matters. An employee is always given a few verbal warnings before a formal written warning is issued. 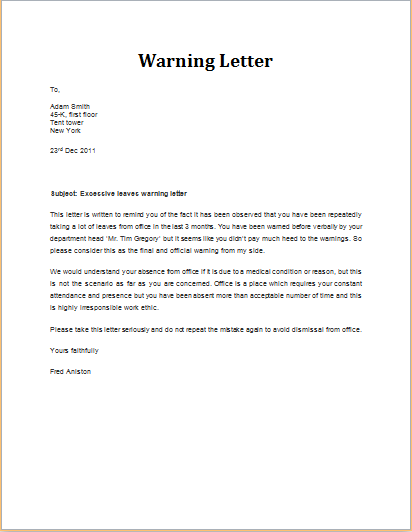 A serious breach of company policy, inappropriate behavior or poor work patterns can be the reasons to issue warning letters. The tone of warning letters should be serious and firm rather than rude. 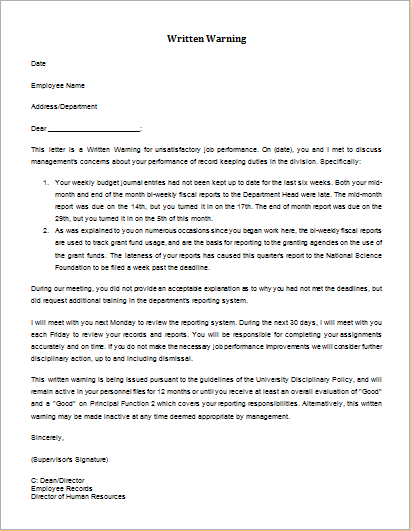 The objective to issue a warning letter is to deal the problem professionally without any personal bias. As proverb states, “the problem should be dealt and not the person”. 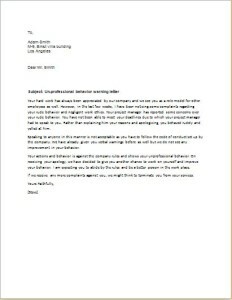 Proper adjectives should be used in the warning letter avoiding any insulting comments. 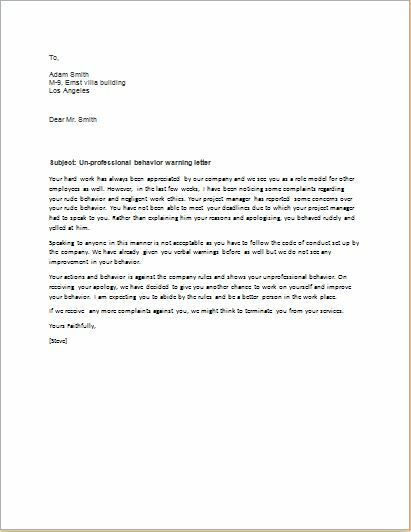 Warning letter should be used as a tool to rectify the mistakes committed by the person and any further measures which can be useful can also be adopted. A healthy discussion can also prove to be a good remedy for the employees. 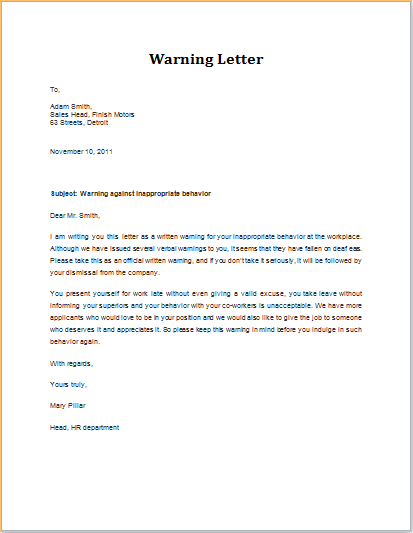 Hence, few verbal warnings are essential and after that, when no positive response is received from the employee, a warning letter can be used. 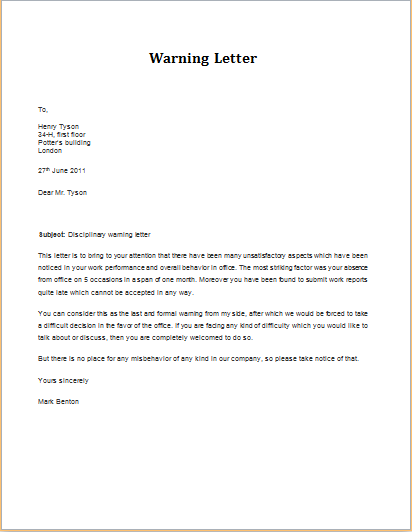 A warning letter has to be very clear leaving no room for any ambiguity. The reasons should be stated clearly, so as to provide the employee a reference to work on and improve themselves. 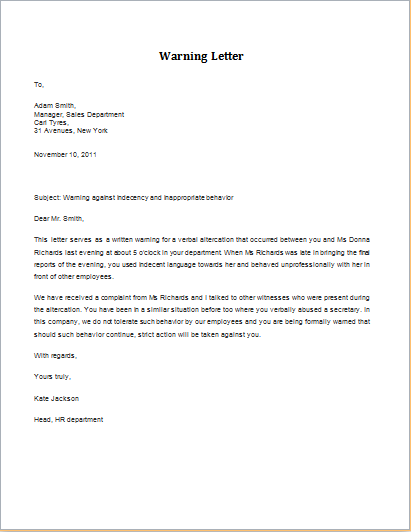 The letter should have a clear date mentioned on it. The employee should be made aware of the consequences he/she might face in the event of not taking the warning seriously.